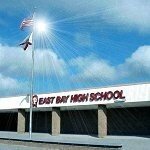 East Bay High School, located in Gibsonton, serves students from Apollo Beach, Gibsonton, and Riverview. With an enrollment of over 1700 students, the school was chartered in the fall of 1957 and the current East Bay High School building was constructed in 1972. After 40 years of service, the school faculty is having numerous problems with blockages in the 8” VCP as well as 4” cast iron drain piping. School officials did their homework for answers to this problem and inconvenience to the school. To repair this drain piping conventionally would mean breaking open their prized terrazzo floors and then trenching through the hallways. After researching their options and considering all the mess and destruction that would have to take place to the school facility to replace this failing piping, Hillsborough County school officials turned once again to Florida Pipe-Lining Solutions for the answer. Utilizing our patented CIPP lining process and without having to disrupt their terrazzo floored hallways or school activities to resolve problem, FPS Technicians performed this CIPP structural lining repair of 300 l.f. of 4” cast iron piping. 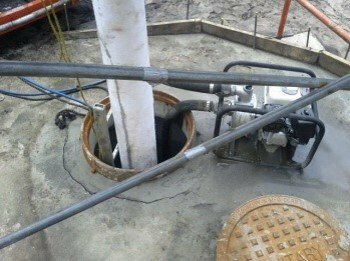 FPS also installed a new 14’ deep manhole in the school yard for access to their sewer system, cleaned 12 branch lines and then CIPP lined an additional 150 l.f. of 8” VCP from manhole to manhole. 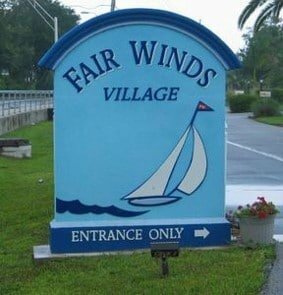 A little piece of paradise, Fair Winds Condominium Village is a 55 plus community located in the quaint community of Nokomis, Florida. Less than 1/2 mile to the turquoise waters of the Gulf of Mexico, the scenic area is known for its miles of beaches, shopping, superb restaurants, green golf courses, tennis courts, and waterways. Residents of this community were having serious problems with their drain piping and after a previous contractor’s unsuccessful attempt to repair the drain piping, they were very upset. They turned to Florida Pipe-Lining Solutions for help. As Florida’s Leader in pipe rehabilitation, FPS provides patented pipe restoration services not available elsewhere. FPS representatives surveyed the piping, explained the needed repair and then got to work. Technicians conducted a CCTV inspection and safety cleaning of the problem area. Then did a structural CIPP Lining of 38’ of failing 4” cast iron drain piping. This pristine hideaway located on picturesque Venice Island was having serious drain problems. Their old 4” cast iron horizontal drain piping was cracking and collapsing and they needed help. They had several different plumbers look at these main-lines and were told that the only thing to do was total replacement. This would be very cost prohibitive. They even had one well known lining company attempt to line the piping , then after failing, told them that this piping was “un-lineable”. In desperation, they searched on-line for answers. This due diligence led them to the solution. FPS Representatives met with the President of Island Palms about the situation and then put together a plan of action to solve their main-line drain problems. A CCTV inspection of the piping was the first step to determine what and where their problems were. After the CCTV Inspection of the piping, FPS Safety Cleaned 90’ of piping in one building and 240’ in the other building. Then, using patented ASTM approved liners, FPS Technicians expertly lined the trouble spots in both buildings while carefully adhering to customer’s needed time-frame. 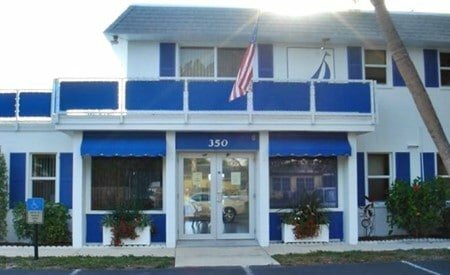 Beautiful white sand beaches and spectacular views from Catalina and Capri Towers overlooking prestigious Fort Myers Beach is what Island Winds Condo residents love about their 100 unit condominium. Lately they were having problems with their building’s 40 year old cast iron stacks. Since they had never had these 3” kitchen stacks cleaned, they researched their options. With their scenic location and beautiful facilities, the residents knew that keeping their buildings in first class condition was a priority. They did not want the mess and destruction that comes with costly pipe replacements. 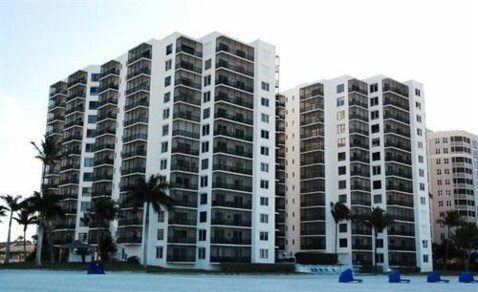 Like so many other condos in Florida, they turned to the experts at Florida Pipe-Lining Solutions for answers. FPS put together a plan of action tailored to their needs. Since the 3” kitchen stacks had never been inspected before, that was the first step. As FPS Technicians began the inspection, it revealed some pipes were occluded down to a one inch opening, explaining the blockages. After all pipes had been CCTV-inspected and then safety-cleaned, Technicians from FPS conducted a continuous CIPP rehabilitation of eight kitchen stacks of concern. Unlike other companies in the area, the stacks were lined continuously throughout the entire length of the piping using the patented LMK lining system that also protects fittings, providing a full structural and leak-free restoration of the piping. 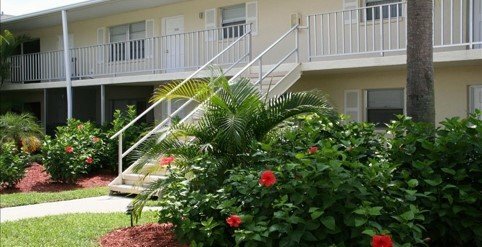 Thanks to the solution from the experts at Florida Pipe-Lining Solutions, Island Winds owners can now rest assured this problem has been put to rest and they can get back to enjoying life at the beach.